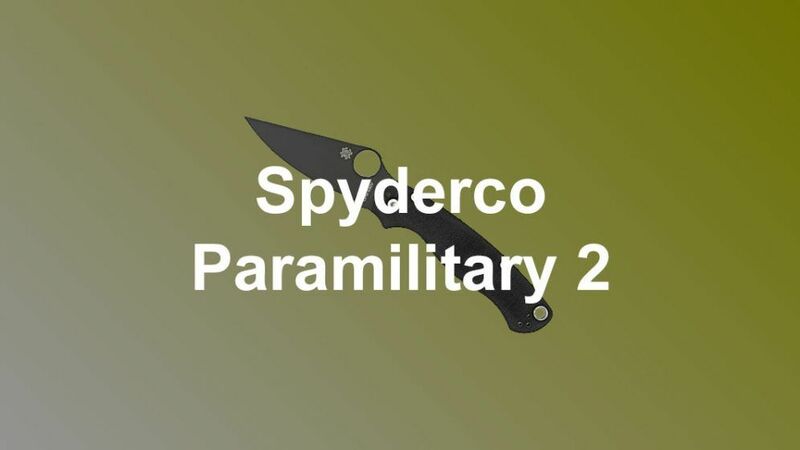 In this Spyderco Paramilitary 2 review, we are going to look at one of the most popular pocket knives on the market right now. 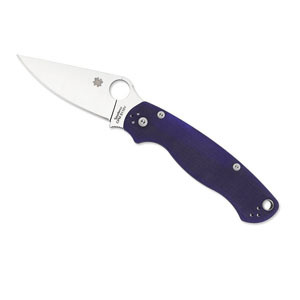 Back in 2010, Spyderco had received a number of requests for a smaller version of their Military model knife. From these requests, the ParaMilitary 2 was born. The beauty of this knife is its simplicity. While it is not flashy, it is an extremely high-quality, workhorse of a knife. Some of the nicest features of Spyderco’s ParaMilitary 2 are the Bushing Pivot System, the Compression Lock, the four-way clip, its size, and the handle with G-10 scales. 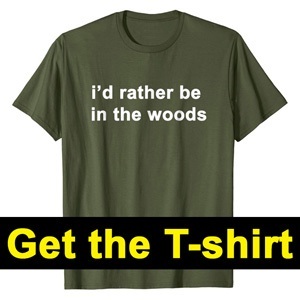 It is also available in multiple different colors including black, blue, and camo. Let's go see why this is one of the most popular pocket knives out there. Spyderco was founded in Golden, Colorado over four decades ago. They still produce knives there today. Their catalog features an absolutely massive selection of knives. From their very first folding pocket knife, they have had a monumental impact on the folding knife industry. 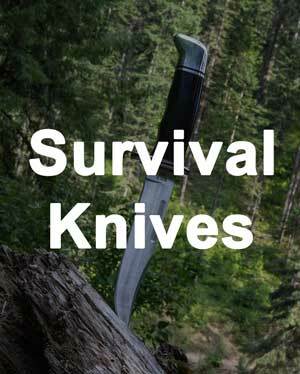 The first knife they produced had a pocket clip, an optional serrated blade, and an opening hole. Spyderco is credited with bringing all of these to the industry. The ParaMilitary 2 features a full flat-ground blade that is just under 3.5 inches. 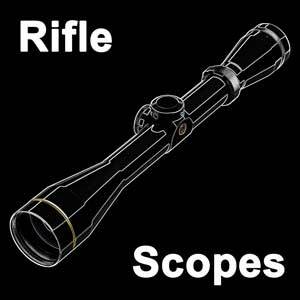 Most are made of a high-quality CPM S30V stainless steel. This particular steel is extremely hard and is widely used in premium knives. It is known for holding an extremely sharp edge, while still being easy to sharpen. While this steel is high quality, more expensive versions of the ParaMilitary 2 come with even higher quality steel, CPM S110V. However, in our opinion, you will not be able to tell the difference between the two. To extend the blade’s life, it is coated in Diamond-Like Carbon (DLC), which increases its cutting ability. When the full-ground blade and the DLC are paired, it allows for a smooth, low-drag cut. The blade is available with either a plain or serrated edge. First, opening the knife is extremely smooth, thanks to Spyderco’s Bushing Pivot System. This bushing system reduces friction and allows the blade to swing open smoothly. 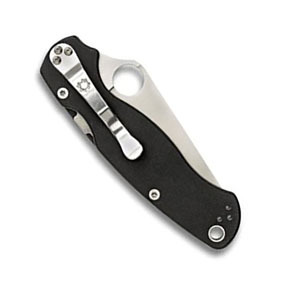 One-handed blade opening is extremely easy with Spyderco’s patented opening hole. When compared to other opening mechanisms, such as thumb studs, an opening hole is much easier to operate one-handed. The reason for this is the opening hole is larger than other opening mechanisms, 0.55 inches to be exact. Given its size, you have much more space to work with to get the blade open. Once your finger catches the opening hole, the Bushing Pivot System ensures that the knife smoothly opens. Once the blade is open, Spyderco’s patented Compression Lock ensures that it stays open and secure. This mechanism has a split liner in the handle. When the blade is open, a spring forces part of the liner down to lock the blade in place. The liner catches on a stop pin in the handle. The blade tang allows for an extremely strong knife that will not wobble side-to-side. This Compression Lock will also increase the safety of the knife. It is nearly impossible for the blade to slip. Another great feature of the ParaMilitary 2 is its four-way clip. The clip is held in place by Torx screws and is relatively easy to remove and reinstall. The four different options allow you to carry the knife either tip up or tip down and either left-handed or right-handed. This customization allows the user to pick exactly how they want to carry the knife. 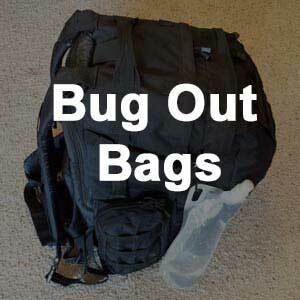 This is an awesome advantage compared to some of its competitors. 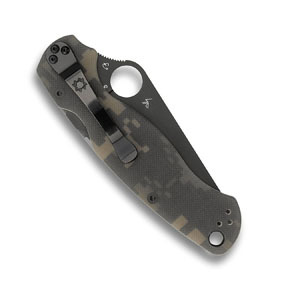 As a fifth option for how to carry it, the ParaMilitary 2 also has a lanyard hole. To go along with the four-way clip, the knife is also the perfect size to carry. 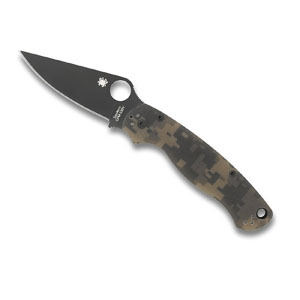 As mentioned before, the Para Military 2 is a downsized version of Spyderco’s Military knife. At only 4.8 inches long when closed, it is a relatively small knife. The full-flat ground blade allows the knife to be lighter than other knives of similar size. Weighing in at only 3.9 ounces, you will not even notice the knife in your pocket. A slimmer-than-usual handle contributes to this and prevents the knife from getting caught in your pocket. Combining the small size, slimmer profile, and four-way clip, this knife excels as an everyday carry knife. Lastly, the G-10 scales handle is another excellent feature of the ParaMilitary 2. G-10 is a type of fiberglass created by layering sheets of glass cloth and epoxying them together under high pressure. The result is a strong, but relatively light, material. This is important in knives. It allows the handle to be lightweight yet the material can be formed in specific ways to create texture. 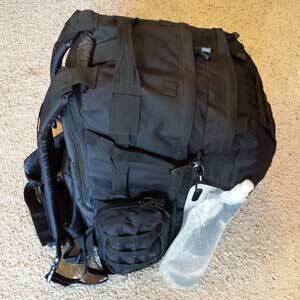 This material specifically is what allows for the handle of the ParaMilitary 2 to be non-slip. It also has an ergonomic grip and a deep indentation to prevent your hand from slipping down towards the blade. 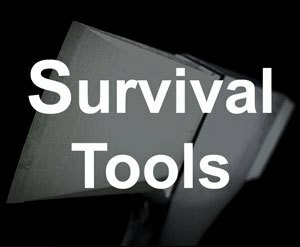 These factors, combined with the Compression Lock, make for a safe knife that you will feel comfortable using. 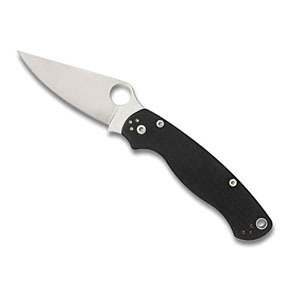 In traditional Spyderco fashion, the Spyderco PM2 knife is extremely high-quality. It is one of the best spyderco knives that you can get. While you will pay for this quality, there are so many positive factors that make it worth it. The opening hole and Bushing Pivot System allow it to be opened easily. The Compression Lock ensures that the blade will have as much cutting strength as possible. The blade is made out of extremely high-quality steel that holds an edge. The handle is equally as nice and allows for a firm, safe grip. Furthermore, the knife is backed by Spyderco’s warranty, which allows you to return the knife to them to be fixed. 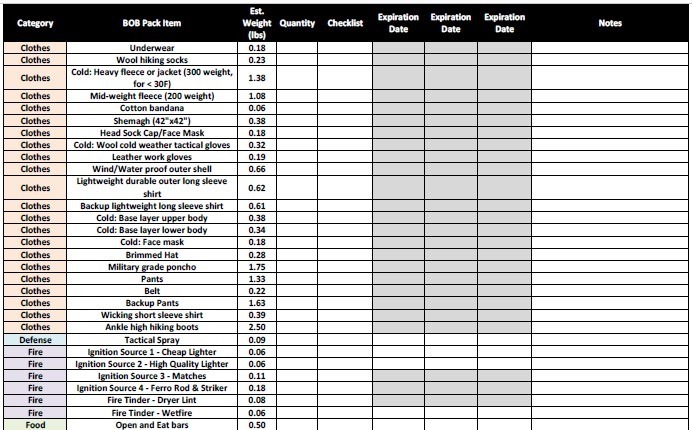 All of these positives packed into a small, lightweight package make for an excellent everyday carry knife. The downsides of this knife are limited to the price and a somewhat small blade. While the price for this knife is steep, the quality definitely supports it.